The Einstein Center Digital Future together with the Helmholtz Association have established a joint graduate program in Data Science, which allows the three Berlin universities, Charité and six Helmholtz centers in the greater Berlin area to cooperate in different scientific areas. 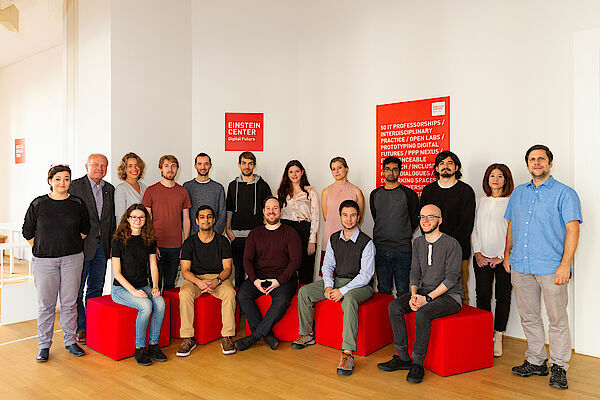 Established in 2018, the Helmholtz Einstein International Berlin Research School in Data Science– or HEIBRiDS for short – is an interdisciplinary program that trains young scientists in Data Science and in other scientific disciplines at the same time! It is our goal to educate a generation of researchers, who are exceptional data scientists and who understand the demands and the challenges of disciplines in which data science is a necessity. HEIBRiDS brings together six Helmholtz Centers and four partners from ECDF, all working at the intersection of databases and data mining, machine learning, network science, statistics and statistical physics, information retrieval, applied mathematics, and analyses of complex networks. In particular, collaborative data science projects between a researcher at a Helmholtz Center and a university partner associated with the ECDF have and will be further developed in a variety of domains. These projects open numerous possibilities for interdisciplinary exchange. Collaborating Helmholtz Centers include the Alfred Wegener Institute for Polar and Marine Research (AWI), the Deutsches Elektronen-Synchrotron (DESY), the German Aerospace Center (DLR), the German Research Centre for Geosciences (GFZ), the Helmholtz Zentrum Berlin for Materials and Energy (HZB), and the Max-Delbrück Center for Molecular Medicine (MDC). ECDF partners in the program are Freie Universität Berlin (FU), Humboldt-Universität Berlin (HU), and Technische Universität Berlin (TU) as well as Charité-Universitätsmedizin Berlin.